Why Seniors With Alzheimer’s Disease Can’t Afford To Neglect Dental Care. A new study conducted by the University of Southampton has found a link between gum disease and higher rates of cognitive decline in people with the early stages of Alzheimer’s Disease. Older adults are more susceptible to periodontitis, or gum disease because of their decreased or limited ability to maintain good oral hygiene. Increased levels of antibodies to periodontal bacteria are connected to raised levels of inflammatory molecules throughout the body which have shown greater rates of cognitive decline in Alzheimer’s in prior studies. During the early stages of Alzheimer’s the objective is on preventative dental care which requires brushing twice daily and flossing. The house call dentist NYC seniors trust recommends that the elderly with dementia receive routine dental check ups. Give clear and concise instructions to caregiver on how to brush teeth. Please keep in mind that Alzheimer’s patients do not follow directions well, so this may have to be done for them. Demonstrate what they need to do and have them watch you. Modeling how to complete each step of toothbrushing may help. If you feel they are up for the challenge, you may also put your hand over theirs to assist them. If they are irritable or uncooperative then postpone the toothbrushing. If grasping a toothbrush proves difficult, try using an electric toothbrush or wide handled toothbrush. Fluoride swabs may be used if your loved one refuses to use a toothbrush. Dr. Alisa Kauffman is the house call dentist NYC Seniors with Alzheimer’s disease trust because she has experience treating patients with all forms of Dementia. Dr. Kauffman, a top 25 dentist, is dedicated to providing compassionate dental care for those with Alzheimer’s. 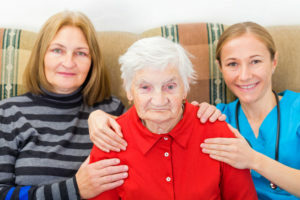 Coordinating dental care for seniors with dementia is vital, so please present your Manhattan house call dentist with a list of all health care providers and include a list of all medications. Learn more about the house call dentist NYC seniors can depend on or call (917) 826-6278 to schedule an appointment today. Loose dentures are a pain to deal with. It is time to “get a grip” on them. Find out how Geriatric Housecall Dentistry can make your dentures a perfect fit. It’s time to get a grip on those loose dentures and dental hygiene. Did you know prolonged use of loose dentures can cause mouth sores and stomach issues? When it comes to dental visits, it doesn’t matter the age, but there is a common fear associated with dentists. Dentists are only here to help keep us on our dental hygiene game. The older we become, the more care goes into maintaining dental hygiene. In this case, do you have a loved one who is a geriatric? Are they in need of a dentist? Do you live in NYC? If you answered “Yes” to these questions, this blog is for you and your loved one. Chances are you have googled “Fix loose dentures NYC residents trust” However, this task is easier said than done. Dr. Alisa Kauffman is here for you and your loved one’s dental needs. It’s a commonly known fact that the older we get, our mouths and bodies are in need of a maintenance to continue to fully function. 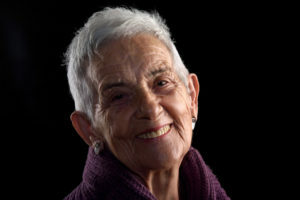 Many older adults are using dentures, thinking that they are finished finding a reliable dentist – but what they don’t know is it is critical to maintain your dentures. You may not realize the severity of the results from poorly fitted dentures. So, here are some ways to help take care of our dentures, keeping in mind to fix loose dentures. As we age, various parts of our body shrinks. The mouth is no exception. Proper care such as brushing them everyday is crucial. You want to remove plaque and bacteria build-up. When not wearing dentures, it is recommended to store them in water or denture solution. As we get older, we tend to lose density in our bones. Dr. Kauffman has served the geriatric community with 30 years of dentistry experience. Having one of the top 25 dentists on your side will ensure you or a loved one is in good hands. One of the multiple aspects that makes her unique is she provides house calls in the Manhattan area. She understands the elderly are more immobile and more vulnerable. In addition to being a top dentist in the nation, she also exhibits empathy and compassion towards her patients. In addition to cleaning and monitoring teeth, she has the ability to fix the inside of a patient’s current denture and reline it to give the denture a better fit in the patient’s mouth. Today is the day to put aside any fears of the dentist and entrust Dr. Kauffman to provide you with the best dental care along with a high level of compassion. No need to search “loose dentures NYC.” Call Geriatric House Call Dentistry to schedule an appointment today. Call (917)826-6278.